On a keto diet we are always looking for something to scoop up dips and something crunchy to snack on during a movie. 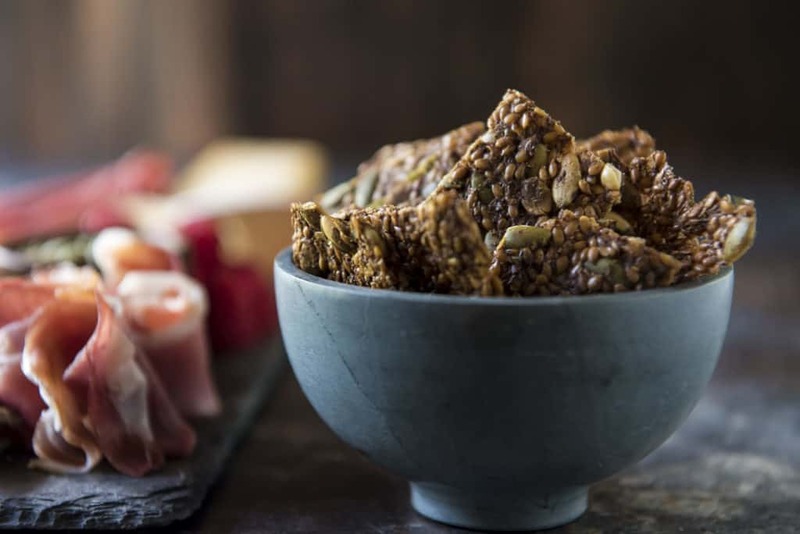 These Keto Crackers are just what you're looking for! 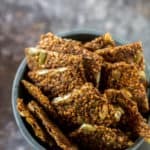 Flax seed crackers are starting to appear in more grocery stores, and while those are a great option for keto, these homemade ones are much tastier and more importantly, they won't set you back $8 per bag. The nice thing about making these keto crackers at home is that you can add whatever herbs and spices you want. For this recipe we're going with a fall themed flavor profile, using pumpkin pie spice and cinnamon. Holiday season can be a tricky time of year for anyone trying to stick to their diet. Luckily, we've got a whole bunch of keto recipes to get you through the end of the year. Try some of our favorites like Mini Pumpkin Cheesecakes, Pecan Pie, and "Sweet Potato Casserole" if you need some inspiration. 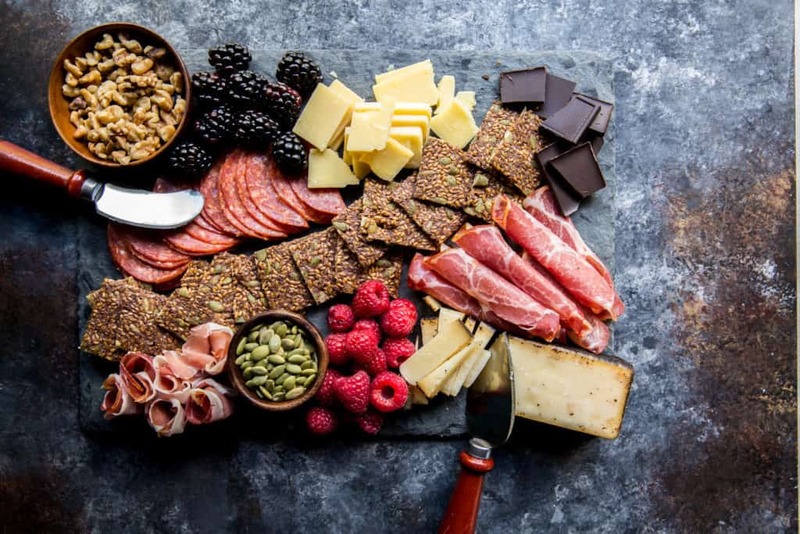 ​There is nothing we like more for date nights than making awesome charcuterie boards, like the one pictured above. It's the perfect interactive activity. Everyone gets to pick a couple items and try all of the things everyone else picked. We like to get competitive with ours and see who can come up with the best pairing of the night! Recipe can be quickly added to MyFitnessPal - Search "KetoConnect - Keto Crackers"
Preheat oven to 400 degrees. In a large bowl add flax meal and spices. Stir until well combined. Add in Pumpkin seeds and whole flax seeds. Mix. Add in water, let soak for at least 10-15 minutes to absorb water. Using 1-2 sheets of parchment paper flatten out dough. Bake for 20-25 minutes until desired crispiness. Let cool completely before you cut them. Store in a zip top bag on the counter. Enjoy! Our Favorite Keto Bread Recipe After 3 Years on Keto! Low Carb Tortillas | 2 Ingredients!